Jamaica has a long history of maternal care practices, evolving from deliveries in “hot houses” by unregulated experienced elderly enslaved women to home deliveries by traditional birth attendants called “nanas” and currently by regulated trained professional midwives. These older experienced enslaved attendants and nanas developed their craft from their predecessors. Formalized training and legal regulation of midwives’ training are linked to the establishment of the Lying-In Hospital in Kingston and the renaming of the Lying-In Hospital to the Victoria Jubilee Hospital to commemorate Queen Victoria’s jubilee in 1892. The changes over time are associated with recommendations from British Parliamentary investigations, demographic and sociopolitical forces and government strategies to address the problem of high infant and maternal mortality rate and to integrate maternal and child health into the primary health system. The purpose of this chapter is to explore the evolution of maternity care in Jamaica from slavery to the twenty-first century. The legislative and educational factors that have influenced the development of midwifery practice in Jamaica are also highlighted. 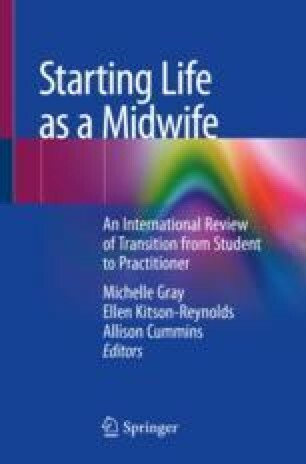 The chapter ends with descriptive notes of the lived experience of newly graduated midwives during their first year of midwifery practice here in Jamaica. International Confederation of Midwives. Strengthening Midwifery Globally, 2005. CD 2005_001V217 ENG. https://internationalmidwives.org/assets/uploads/documents/CoreDocuments/ENG%20Definition_of_the_Midwife%202017.pdf. Accessed 8 Feb 2018.